In the Palestinian sector on the famed Mount of Olives, the downside of the hilltop mosque on Salman Al-Farsi Street near the Mount of Olives School and the Mount of Olives Women’s Center, the internationally known advocate for peace Ibrahim Ahmad Abu El-Hawa maintains a slightly rundown open center welcoming all travelers with no regard for money or background in the nondescript down-on-its-heels A-Tur neighborhood. 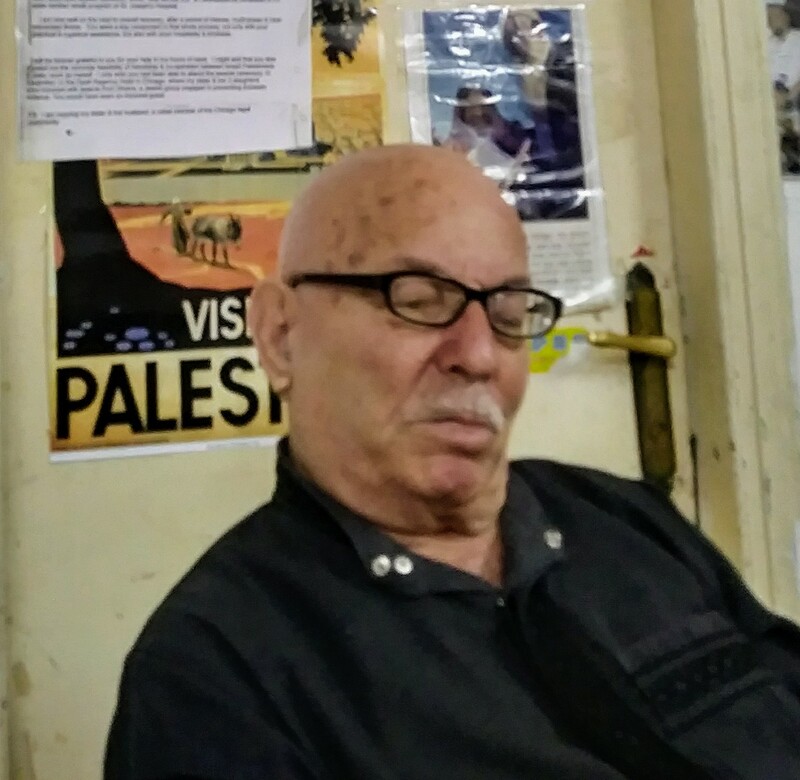 The entryway steps leading to the 76-year-old Palestinian’s multilevel building from an always open substreet-level doorgate are littered with a fidgety cadre of sickly flea-bitten cats, like much of the other hardscrabble, garbage-strewn narrow avenues and alleys in occupied East Jerusalem. Everyone is welcome to stay at No. 31 as long as they wish, and resident travelers never have to worry about food and drink. Abu El-Hawa makes sure they have sustenance and shelter. His detailed profile and relentless efforts for peace in Palestine and worldwide have been featured in Change.org, Mondoweiss, Haaretz, Le Monde, The Huffington Post, De Welt, Daily Kos, The Jerusalem Post, The Israeli Committee Against Home Demolitions (ICAHD), and numerous other media outlets in the Netherlands, Poland, and Russia, among others. But I came across Abu El-Hawa the old fashioned way as he flagged down pedestrian travelers at a crowded sidewalk cafe table in a grimy busy commercial strip of restaurants, juice bars, meat vendors, tourist hostels, veggie stands, and convenience shops across the street from the Old City’s Damascus Gate. “Welcome! Welcome!” he gently admonished almost everyone in a simple attempt to sit and talk with strangers for a few brief moments. His passionate desire for continuing communication and a deep-seated understanding of the human condition drives Abu El-Hawa’s mission for peace and social justice. “Maybe Mr. Trump have the key. I feel in him as a strong man, and he keep the word. They talk about moving the US Embassy to Jerusalem back in 2007,10 years ago, but nothing happen. Obama, he can’t face it; they are busy with something else. “This guy Trump, he face it. He face it to do it. And maybe he’s so strong, he can bring something (helpful) between Israeli & Palestinian. “First, who will stop them? is the question. If they decided 10 years ago, why they don’t do it before? But Trump is strong and don’t break the word. Maybe he will bring something better. He will also visit Ramallah with (Palestine President) Abbas, too. Maybe something, by God’s way, they decide it. “These other countries control all the Middle East, and the world never bring any goodness. We need to have that peace. We supporting, always support, the highest business people, all their guns & machines. They don’t care about the heart of the mother, and the children. “We ask God, in this minute, to bring the right thing for this land. And for all the lands because all the mothers, the heart of all the mothers — Christian, Jewish, Buddha — all are broken. I don’t trust any government. “Only way, and only one way. Don’t leave anyone hungry, or missing or needy. Why the thief going to break into the home? Because he don’t have enough. He don’t have food. All that money, trillions of dollars. If they feed the poor, they never break the door. We have other problems, but not when you have need. That wish is no wild pipe dream. “Two years ago, I been at funeral of Muhammad Ali in Kentucky. I called them, they told me, ‘Welcome!’ I saw Ali when he was here in Jerusalem. I called his daughters, and I met his brother in Kentucky. I been with 14,000 people & leaders of Turkey and King of Jordan when Ali die. “Last year, I been in London, New York, Chicago, Texas, New Orleans, Los Angeles, San Francisco for Abrahamic reunion speaking. I spoke in synagogue in White Plains, New York. I been speaking in western mosque, church and synagogue. I been in Utah with 14,000 people talking about peace. Jerusalem’s advocate for peace — who has comforted the family of hospitalized Israeli settlers, and accompanied the sick to their far off homelands — plans to travel to Brazil after the upcoming month of ramadan with British filmmaker John Tate who is creating a documentary on his life. Then he will visit England and the United States. The reason behind the trip to Brazil is a special ceremony in September to officially recognize Abu El-Hawa’s new position as an honorary citizen of Brasilia, capital of the largest South American nation. 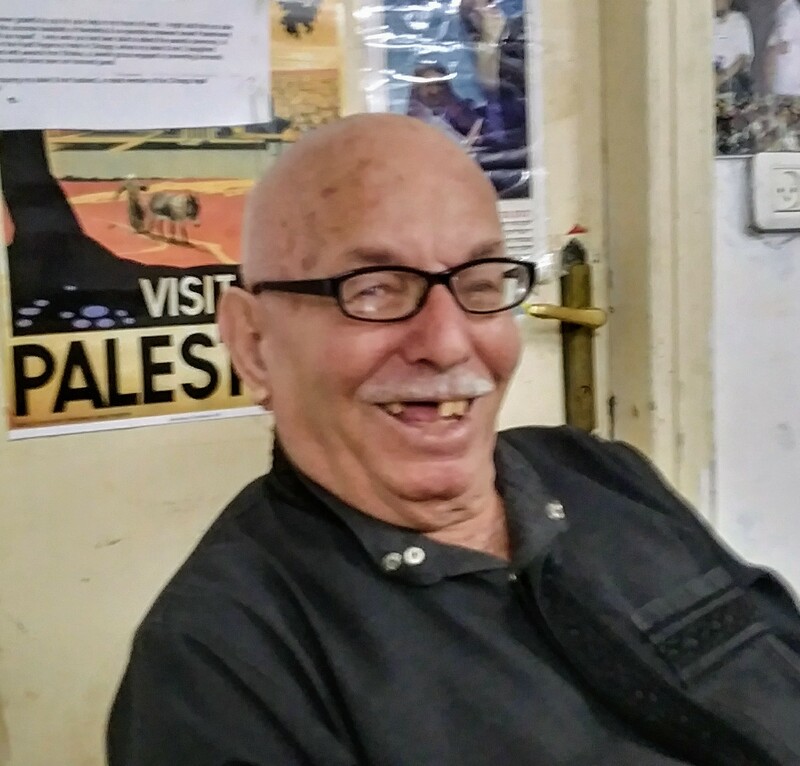 Though always ready with a joke and an easy laugh and smile, there is a sense that Abu El-Hawa’s scheduled trip abroad this year might be one of his last. “I don’t think I will live long because I have a lot of attention on my shoulders, and this takes all my energy. I don’t sleep enough in my bed. I just came now from the doctor. My health is not good, they need to change many parts in my body.” Major problems include kidney and diabetes issues to the point where, he said, “Doctor tells me to don’t fast” during the upcoming Islamic month of ramadan. 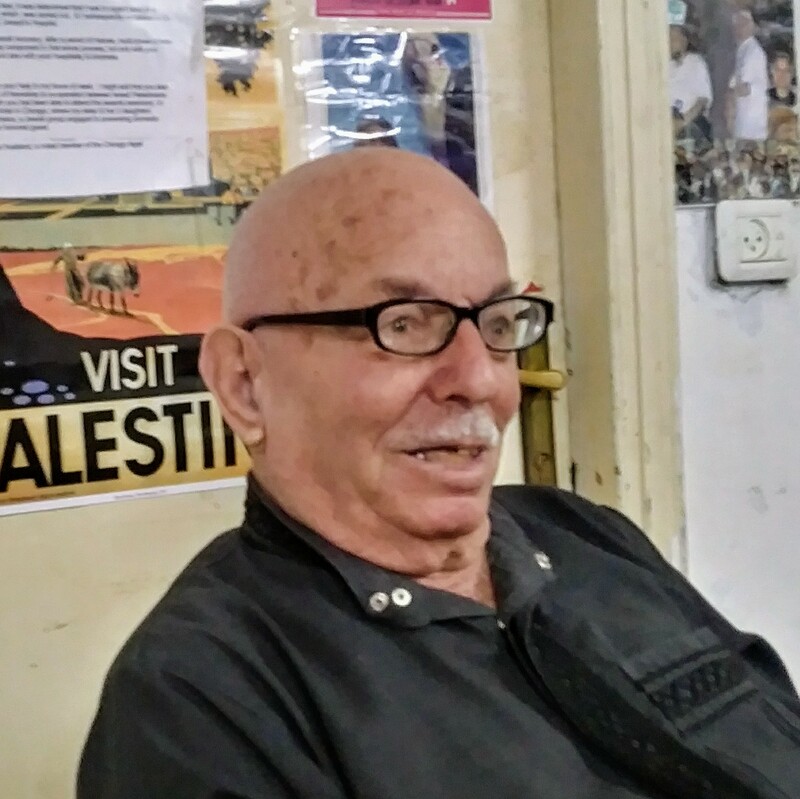 And coming from a largely conservative Bedouin culture and family reportedly dating back more than 1,400 years in the region, Abu El-Hawa believes any solution rests with the female side of the social equation: “I think, the only way . . . I thought til today, most of the leaders of the world, they are not the father of the nation. That for the nation, for us everywhere, to need the mother. The mother cares about her children. More than the father. As written in our Holy Book (reciting a brief passage in Arabic), Heaven under the foot of the mother. Because the mother always want to protect us, and hold us between her arms. Palestine has not found her mother, no. Because the mother will never never send her children to the war to get killed and wounded. Mother always try to protect her children. A retired auto and truck mechanic with no formal education, Ibrahim Ahmad Abu El-Hawa took early retirement 17 years ago. Mounting legal difficulties regarding Israeli permits for additions to his house of peace on the Mount of Olives have imposed continuing large monetary fines, including the threat of personal jail time. Donations to support his open center facility and his peace advocacy can best be made through Western Union to his name in Jerusalem, Israel. Email a note that includes the receiver’s amount and receipt number to maryhawalyn@alqudsnet.com. Find him on Facebook at Peace for Ibrahim and http://peaceforibrahim.weebly.com and +972547768777.